Trenton, Illinois (Pop. 2,715) is situated in western Clinton County. Conveniently located 10 minutes from Interstate 64, Trenton is a short drive from Downtown St. Louis, Scott Air Force Base, and many other major Metropolitan St. Louis destinations. 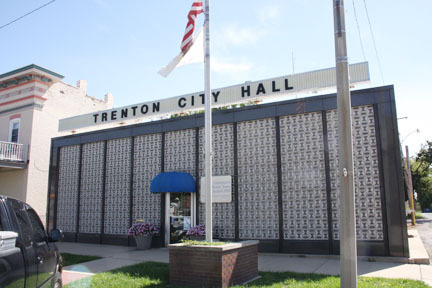 The City of Trenton provides a quiet location to raise a family, while offering unparalleled access to the amenities of large cities, and recreational opportunities at nearby Carlyle Lake. Whether you are looking for a place to call home, open a business, or are just visiting, we thank you for your interest in the City of Trenton! Effective Sept. 1, 2015, Health & Safety Inspections must be completed on ALL properties upon change of occupancy.